_Free Google’s e-Learning Courses With Certifications | Academy For Ads. 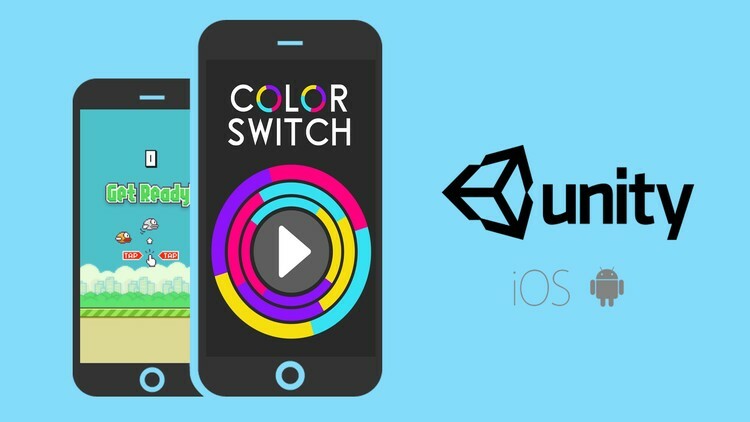 In This Course We Will Take A Look At The Two Most Popular Mobile Games And Re Create Them Using Unity And C#. We Will Then Deploy These Games To Our Android Device, As Well As Our Ios Device Using Xcode. You Will Learn Why Xcode Is Very Important When It Comes To Developing For The App Store. Finally We Will Show You How To Publish These Games To The App Store And/or Play Store. Have A PC That Can Run Unity. What Get From This Course? Build Apps And Publish Them To The Market. Studied Ethical Hacking and Penetration Testing at National Security Database , IT Technician , Blogger and Web Designer (CMS). Copyright © GANESH KAMBLE. Powered by Blogger. Technical Guruji - Technology Explained in Hindi. The Hacker News - Cyber Security, Hacking News. Similar Sites - Easily Find Similar Websites. Small SEO Tools - Free Online SEO Tools. Pro Hacker - Latest Technology, Inventions & Gadgets. Gadgets Now - Technology News, Latest & Popular Gadgets Reviews. DriverPack Solution - Download Windows 7, XP, 10, 8, and 8.1 Drivers. GSMArena.com - Mobile Phone Reviews, Specifications and More. FREE App Creator - Create Apps for Android & iOS. No Coding Required. ExamFear Education - FREE Physics Chemistry Maths Biology Videos NEET CBSE. Free Online Calculators - Math, Health, Financial, Science. Pure HTML5 Internet Open Speed Test - Test Your Broadband Speed Now. Live Cyber Attack Real Time Map. Live Cyber Threat Real Time Map. SkillTrain | Free Courses For Enabling Youth Employability. Tutorials Points | Enjoy Theory And Lab at The Same Time.